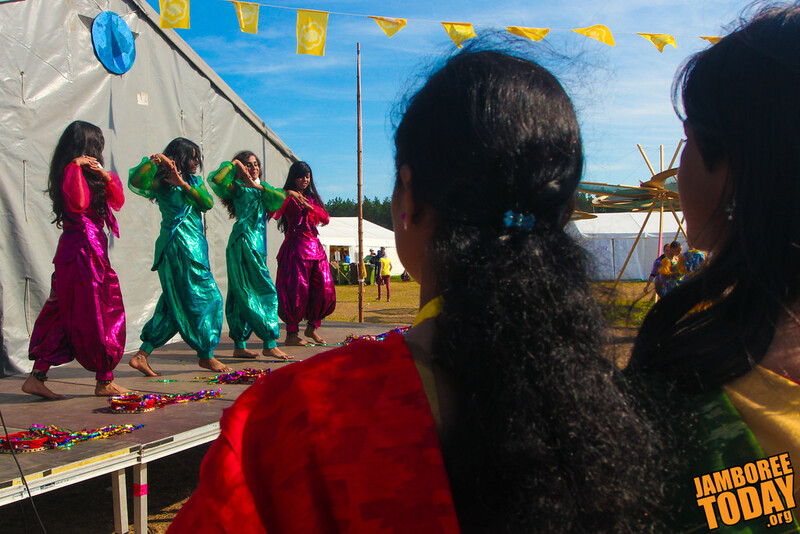 A crowd of Scouts look on as their friends from Bangladesh perform on the Summer Stage during the Cultural Day Festival at the 2011 World Scout Jamboree in Rinkaby, Sweden. 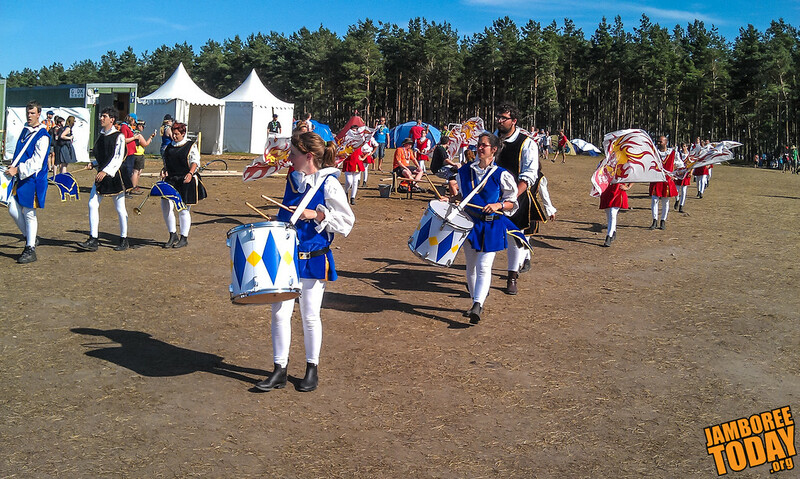 Italian Scouts from Rome parade throughout the camp of the 2011 World Scout Jamboree with drums and horns. 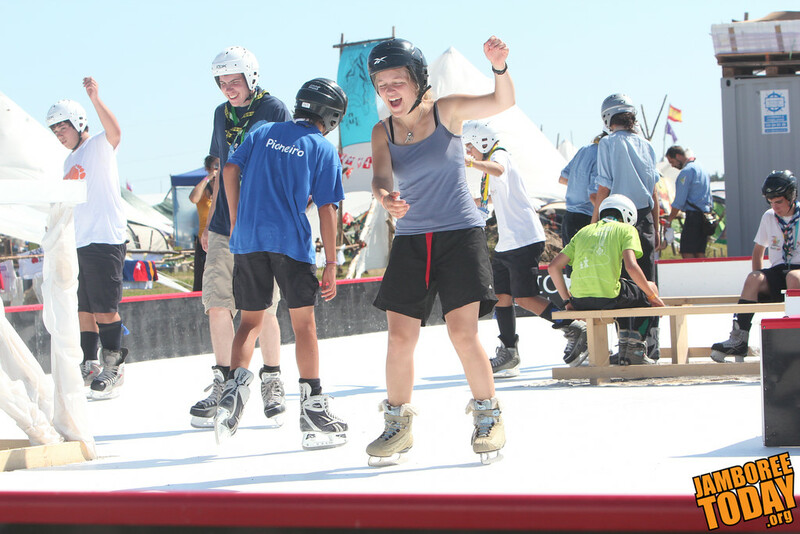 Scouts at the 2011 World Scout Jamboree give a try at "ice" skating in shorts and t-shirts, with the temperature over 25°C (80°F). The "ice" is really a plastic surface lubricated with silicone, but the skates are standard issue.